Today’s theme is “A heart on your path.” I have come across hearts in the past, but not today, not this week. 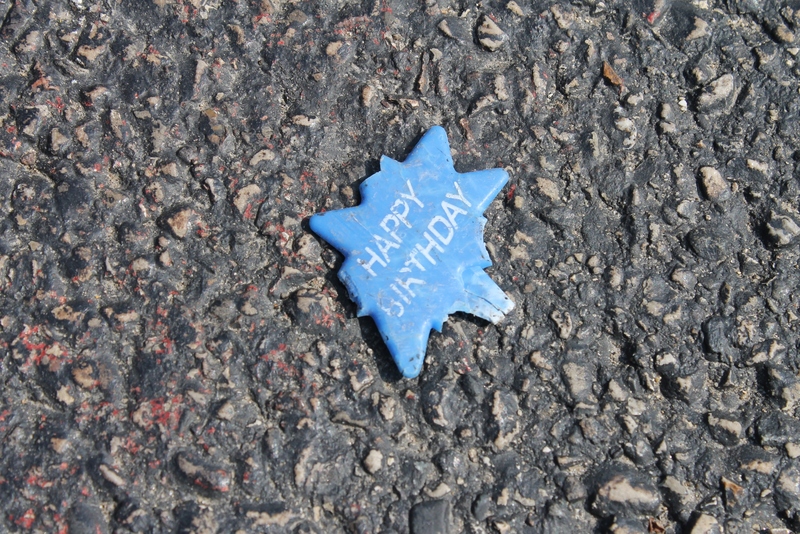 I did stumble upon a little cupcake marker on the street outside the school. Certainly a tragic loss for a sentimental kid. Was it the birthday boy who kept a topper as a memento or was it a classmate who wanted to take it home? To me, it’s a reminder of how cupcakes given out on birthdays remain a huge status symbol for kids at school. The equation “birthday = cupcakes ” is so ingrained, seemingly so hard to fight. Sadly, I’ve had to put some of my advocacy on hold because I need to stay focused on staying employed. At the moment I’m guiding myself by my brain not by my heart.